Samsung has finally issued a press release confirming that their highly anticipated, 7-inch Samsung Galaxy Tab will be heading to every major US carrier including AT&T, T-Mobile, Verizon, and Sprint. Availability and pricing announcements are said to be announced by the carriers, however we know the devices should be coming to the marketplace sometime in October or November. 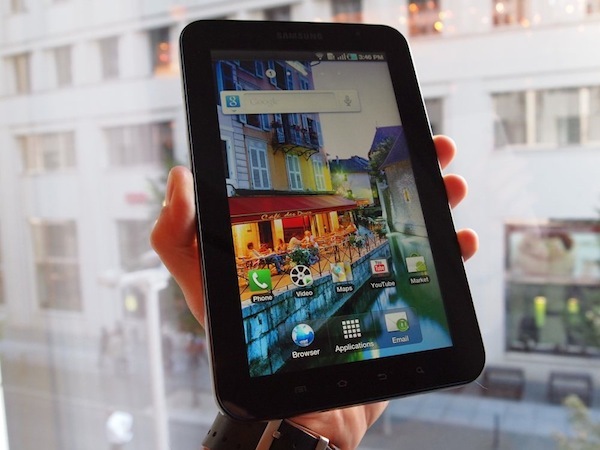 The US version of the Galaxy Tab sports a 7-inch 1204 x 600 WSVGA display, 1GHz Hummingbird processor, front facing and rear facing cameras, and currently runs Android 2.2. We have also learned that the device will come with carrier specific apps. For example, AT&T customers will get a preloaded Connection Manager app. Samsung has also confirmed that a Wi-Fi only Galaxy Tab will be released at some point in the future.